Hard luck to the team and management, they put up a very brave fight and performed well on Sunday. The luck was not with us from the start conceding a penalty after a couple of minutes which Philip brilliantly saved only for the rebound to bounce around before being forced in, Philip was again on hand not long later with a world class save, and again only moments later Glencar scored a goal. The lads did well and continued to fight hard and early in the second half we were level. Philip was called to action again with a harsh penalty which he again saved, this lifted the supporters and the team and we kept pushing forward only to concede. In the end the gap was 4 points and Glencar were champions. 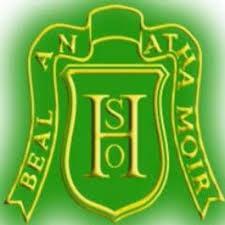 There is a very important meeting being held on 7th November next at 9.15pm at the SOH club house. There will be issues discussed regarding the future of the club and all members points of view are welcome. Best of luck to the neighbours Aughawillian in the Connacht Championship this weekend. Commiserations to Fenagh who put in an excellent display in their Connacht Championship match and were unlucky not to progress further. Congratulations to Carrick Hurling on winning the Connacht Championship, a fantastic result for the club. Minor Ladies - Best of luck to our Minor ladies who are in the Connacht semi-final action on Sunday against the Galway champions, Kilkerrin/Clonberne. Throw-in at 2pm in Clonberne and any support would be much appreciated by the girls. U16 Ladies - Well done to our U16's who made it three wins from as many games with a comprehensive victory over St Brigid's in the third round of the 15-a-side championship. They have one group stage game versus Glencar/Manorhamilton with the date yet to be confirmed. Team: Erin Keegan; Ella Van Der Laan, Siobhan Flynn, Tara Conway; Emma Honeyman, Abbi Sweeney (0-1), Grainne Prior; Laoise Moran-King (0-2), Megan McGovern (0-4); Mollie Murphy (1-1), Aoibhin McGoldrick, Niamh Donohoe (1-3); Kelly Beirne (0-3), Lily Byrne (4-9), Emma Beirne (0-1). Subs: Emma McKiernan (0-1), Laura Maguire (0-1), Ruth Creamer, Alannah McBrien, Aoife Darcy, Brid Murphy, Lizzie O'Connell, Teegan McGloin.